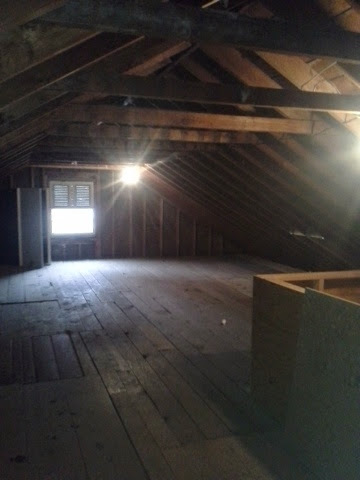 I came upon a deal in the western suburbs of Chicago this weekend that had a great walk-up attic. How simple would it be to insulate...do some wiring... sheetrock... paint... carpet this 800 square foot space? Due to the low and angled ceilings, I don't think making additional bedroom(s) out of this space would be advised. Although, the thought of a kid's play zone or man cave would economicaly add signifacant living space. For less than $5000 this conversion could add an amazing amount of value to this home in DuPage County. Thanks to Amazon.com, I have something to distract/educate me for the next week! I've heard so many good things about BiggerPockets.com, but I haven't spent much time exploring it for myself. 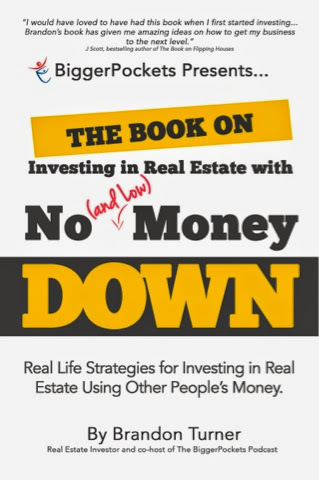 I just cracked their new book, "No (and low) Money Down", over the weekend and I've been pleasently surprised! Eventhough I'm only two chapters in, the fact that the author, Brandon Turner, pokes fun at "the Guru's" does nothing but grab my attention and give the author instant credibility. I've been investing for a long time now and have experienced the sales pitch from many self-proclaimed "Gurus". The get rich quick techniques and the "no money, no credit, no job" gimmicks have gotten very old. NO... I'm not going to spend $5,000.00 in order to spend the weekend with you so that you can pump me up full of your Kool-Aid and than leave me with a wicked financial hangover the following Monday. Again, I'm only two chapters in, but the real techniques of buying your first investment property with FHA financing is simple and realistic. So chew on this for a while. For you newbie investors...buy a three flat with FHA financing with 3.5% down and have the seller provide you with a 3% credit at closing. After collecting the property tax prorations, tenant security deposits and prorated rents there's a good chance you could pick up an investment property for "No Money Down"! There are some down falls though, you will have to live in one of the units for twelve months...but if you don't have 20%-25% to put down on a deal that compromise may be well worth it for you. All of a sudden, I feel like moving!